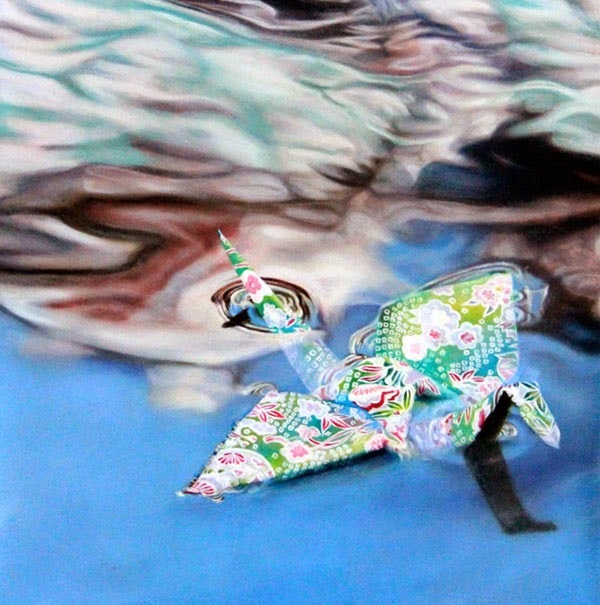 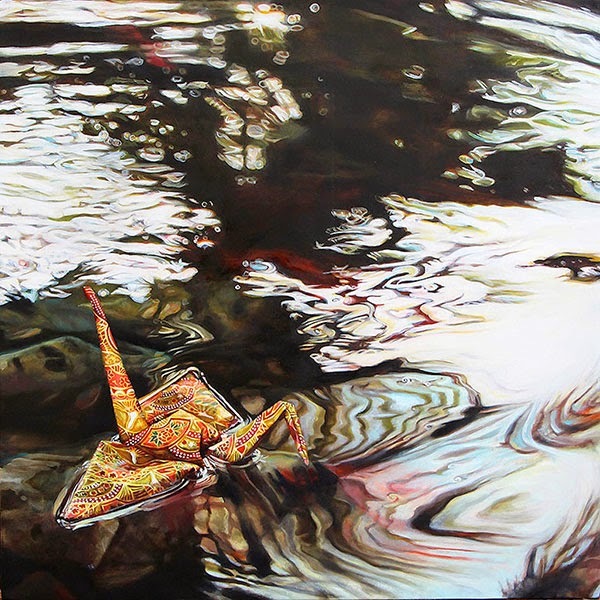 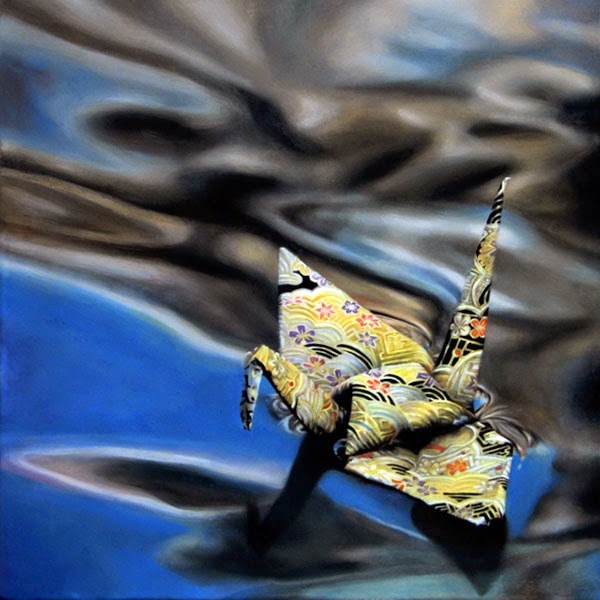 Paintings exploring the movement, life, and spirituality in the design and symbolism of an origami crane featured in bodies of water. 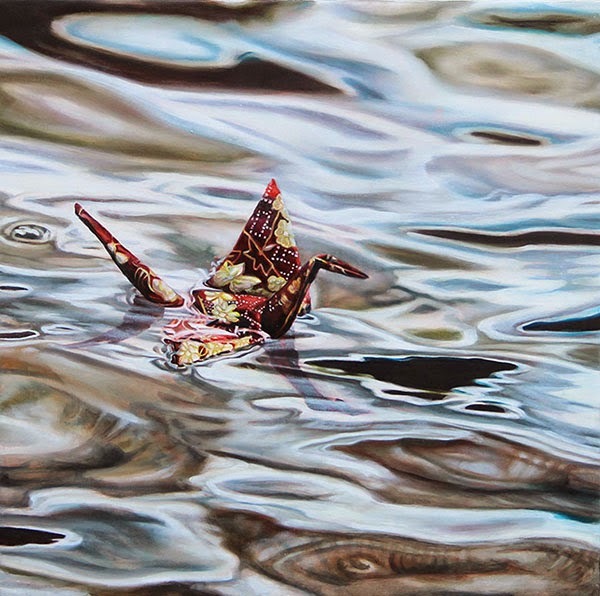 The lifeless object is brought to life as it travels on the surface, riding along the current as if it were flying. 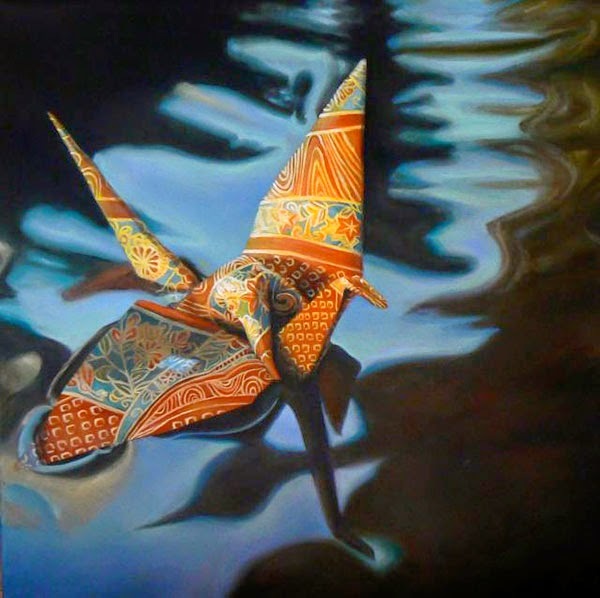 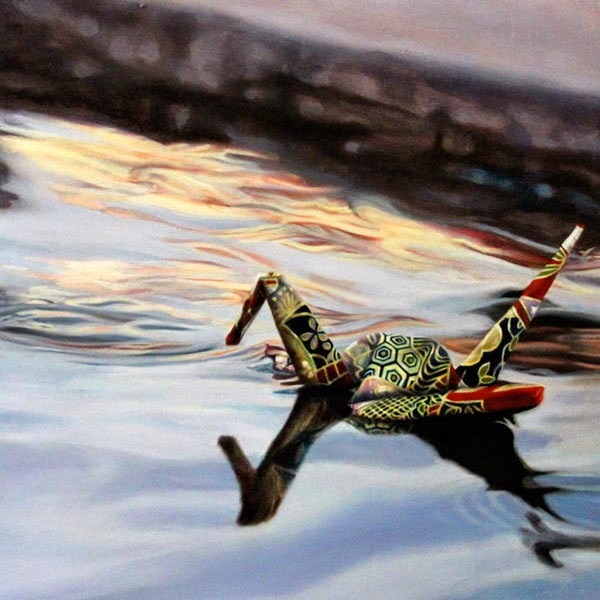 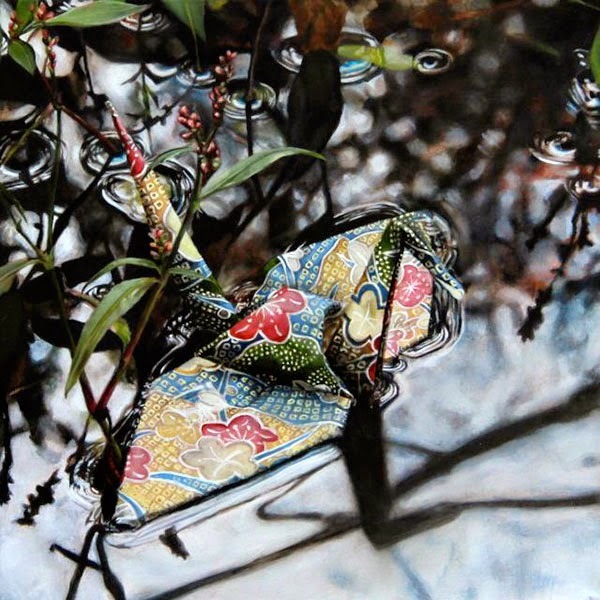 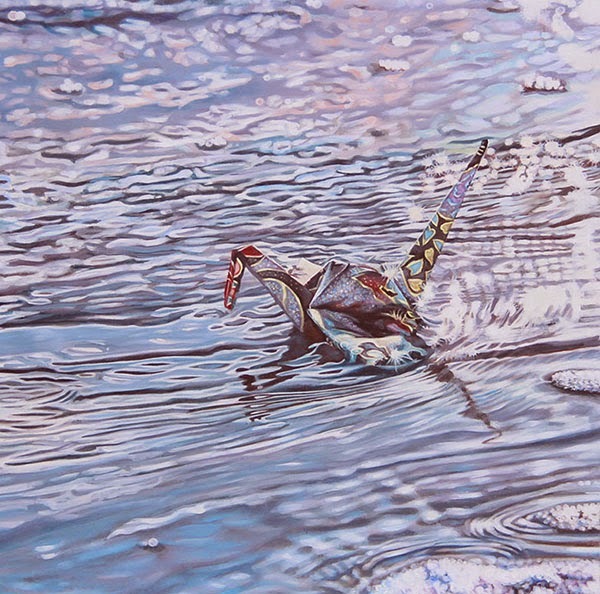 I feel that in my style of painting I am able to further breath life into the symbol of one solitary crane by placing it in real life situations where it gets to behave as a real bird would, riding with the current or the water, nestled amongst plants and interacting with the human form so that it might take on greater symbolism as a talisman of hope.